The early medieval Germanic languages started to be written down in the Roman alphabet when their speakers converted to Christianity and adopted parts of Late Antique culture. For the West Germanic dialects spoken in England and on the Continent, this process took place essentially from the late 7th to the early 9th century. The scripting of these languages included the transfer and adaptation of the alphabet to the vernacular languages. 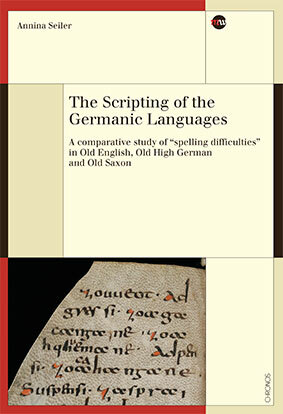 Some of the specifically Germanic sounds caused spelling problems since there were no characters available for them in the Roman alphabet. The analysed data reveal surprisingly sophisticated spellings, demonstrating both a high degree of phonological awareness as well as an intimate knowledge of Latin orthography on the part of the writers. The study demonstrates that these early writing systems, though highly idiosyncratic, are more regular than has previously been known: The first writers of German and English follow the orthographic rules that they set up for themselves with unexpected consistency. Wissenschaftliche Mitarbeiterin am Englischen Seminar der Universität Zürich. Ehemalige Mitarbeiterin am Nationalen Forschungsschwerpunkt (NFS) «Medienwandel – Medienwechsel – Medienwissen. Historische Perspektiven».